To perform keyword research, competitive analysis and a site audit for your website, you can take advantage of this free 14 day SEMrush trial. We’ve arranged this special offer for our readers, so they can follow along with the 7 Part SEMrush SEO Tutorial we created. What are SEMrush Customers Saying? I am loving #semrush! So much awesome information… My clients love me when I do my reporting now! 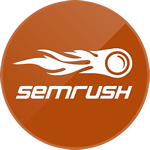 Guys, do you use #semrush? It’s awesome.